10 Amazing Pokemon Cupcakes Perfect A Birthday Party! Looking for some creative inspiration for your Pokemon Cupcakes? Well, look no further. 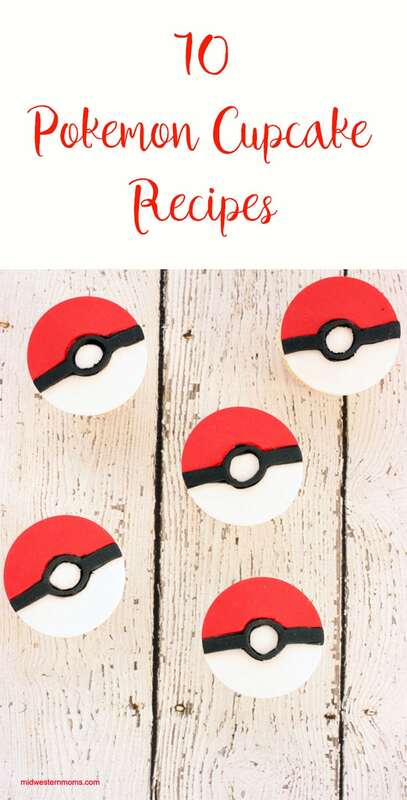 This post includes plenty of poke ball inspiration, character-themed cupcakes, and various types of frosting and decorative accents. With Pokemon Go still being fairly popular, these cupcake ideas would be great for birthday parties or sleepovers. Enjoy! Delicious cupcakes topped with a fondant poke ball. These cupcakes are inspired by Pikachu. Bright yellow homemade buttercream icing tops these delicious cupcakes. Pikachu features include, ears, tail, and red cheeks. Cupcakes decorated with piped buttercream to look like poke balls. Love this take on Pokemon cupcakes with sprinkles on top! Some great inspiration for character-themed Pokemon cupcakes. The toppers made with buttercream and fondant. Great idea for poke ball and pikachu designs for a child’s birthday party! Unique way to decorate poke ball cupcakes using frosting and M&M’s. Love these fondant topped cupcakes. Snorlax, Pikachu, and more! Easy Pokemon cupcakes using a York candy for the center. What a great idea! Poke ball frosted cupcakes using an M&M as the center. Cupcakes decorated as poke balls using a marshmallow as the center. Which Pokemon cupcake type is your favorite?